Alpines are plants found in high mountainous areas generally above the natural tree line.They are usually exposed to wide ranging temperatures: very freely draining low nutrient soils: strong winds and high light levels. To survive these conditions they have evolved a number of defences because they are low growing, mat or cushion-forming plants. They are protected against harsh winds and cold: they are dormant under snow; they have extensive root systems to seek out moisture and nutrients: they often have spiny growths to deter grazing animals. These conditions are different to a British winter but provided you bear in mind their natural growing conditions, you can grow them quite successfully. These dwarf plants offer a huge choice of flower colour and also of shape, foliage and a diversity of usage. Used in a rockery, spectacular displays can be achieved with the colour and form of the plants complimenting the rocks. They also make good container plants on patios and are good in old sinks and troughs and raised beds. Some will grow well in hanging baskets and in crevices in walls, or paving stones. Types such as Thyme can be planted en-masse to give a colourful and scented carpet. Alpines can live in containers for many years and dwarf types especially benefit from being displayed in raised sinks or troughs so that their minute detail can be better appreciated. Smaller containers will need holes in the bottom to let excess water drain off. Always put a layer of broken crocks in the bottom to help with drainage and ensure the roots never sit in water. Provide a planting mix of 30% general purpose compost, 30% leafmould or garden compost and 40% added grit. Top dress with gravel and place in a sunny location. Water regularly but not excessively. Keep alpines even drier in winter, but do not allow to dry out. Feed with a general fertiliser at just a 1/4 of the manufacturers recommended strength for other plants in mid-spring. Keep free from weeds and pick off any dead leaves and prune as needed. Move pots into a cool well ventilated greenhouse in winter. A rockery is intended to give the appearance of a rock outcrop mound in a mountanous region. The site is important and a bank is ideal, as building on a level surface seldom achieves a natural effect. The use of natural or imitation rock stone rather than broken concrete or old bricks is preferable. It is best to use one type of rock, choosing the largest pieces you can comfortably handle, although using some pieces will help give a natural effect. When positioning your plants consider how they would appear in nature. Try to copy this natural look when building your rockery. Create pockets of suitable planting soil for the plants. To add interest vary the soil between the rocks. Bury the base of rocks and slope them back to help direct the rain into the pockets. Most alpines will tolerate any type of soil, providing it is well drained!. Once the rockery is planted, cover the soil surface with small gauge gravel or shingle to enhance the look and keep the soil cool. Although many alpines grow on very poor soils, always water after planting and in very dry spells. Feed in spring with a general fertiliser at 1/4 strength for other plants to ensure best results. The charming little pink, dark-eyed flowers (sometimes lilac with a yellow-green eye) are composed of up to fifteen florets with rounded, slightly overlapping petals. This is an easy plant to propagate from summer cuttings or layers and, indeed, the trailing stems often root spontaneously. Nor is it particular as to soil or site and will accept some shade though, in common with other hirsute plants, it appreciates a position where it will not be subject to too much winter wet. Rock Jasmine. Evergreen mat-forming alpine with dense rosettes of white-hairy. light green leaves. Compact umbels of white flowers with greenish yellow eyes. Height 5cm. Spread 8cm.. Flowers from May to August. Evergreen. Hardy. Rock Cress. Mat-forming evergreen with loose rosettes of toothed dark green leaves. masses of deep rose flowers. Height 10cm. Spread 20cm. Flowers from April to May. Evergreen. Hardy. Rock Cress. Mat-forming evergreen with loose rosettes of toothed. grey green leaves. Racemes of double . pure white fragrant flowers. Height 15cm. Spread 60cm. Flowers from April to May. Evergreen. 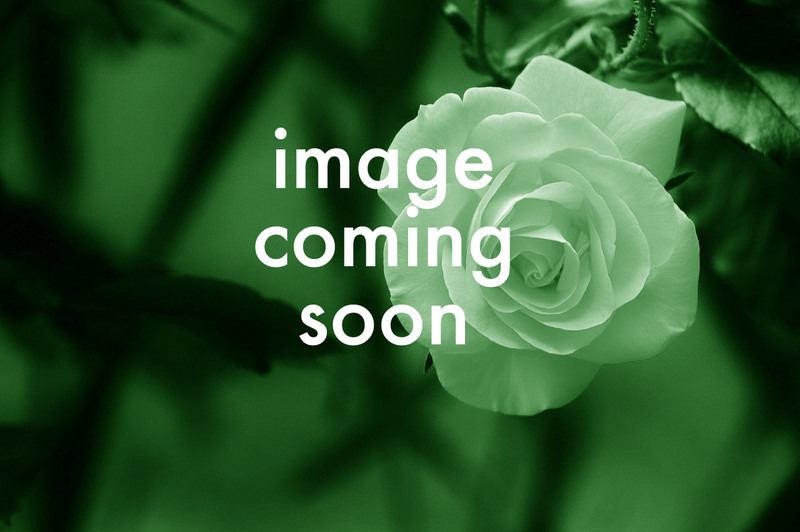 Foliage colour Green. Hardy. Planting instructions Water thoroughly before planting. Rock Cress. Mat-forming evergreen with flat rosettes of green & yellow leaves. with white flowers. Height 15-20cm. Spread 60cm. Flowers from March to May. Evergreen. Hardy. 'Fruhlingszauber' is a mat- or cushion-forming, short-lived, evergreen perennial with loose rosettes of oval, toothed, hairy-edged, dark green leaves and erect stems bearing compact racemes of purple-pink flowers in late spring and early summer. Sea Pink.Thrift. Cushion-forming with linear. hairy. grey-green leaves. bears purplish pink to white flowerheads. Height 5-8cm. Spread 15cm. Flower colour Pink. Flowers from May to June. Evergreen. Foliage colour Green. Grey. Hardy. Sea Pink.Thrift. Cushion-forming with linear dark green leaves. bears pink white or red-purple flowerheads. Height 20cm. Spread 30cm. Flower colour White. Pink. Purple. Flowers from May to June. Evergreen. Foliage colour Green. Hardy. Mat-forming hardy evergreen alpine with green leaves. single rich deep lilac-blue flowers. Height 8cm. Vigorous cascading habit. Flowers from March to April. Mat-forming hardy evergreen alpine with green leaves. a profusion of single carmine red flowers. Height 8cm. Vigorous. free flowering. Neat bushy habit. Flowers from March to April. Mat-forming hardy evergreen alpine with green leaves. single rich deep violet-purple flowers. Height 8cm. Cascading habit. Flowers from March to April. Mat-forming evergreen alpine with green leaves. margined gold and single vibrant flowers. Height 8cm. Spread 30cm. Flower colour Blue. Flowers from March to April. Evergreen. Foliage colour Green. Gold. Hardy. Planting instructions Water thoroughly before planting. Mat-forming evergreen alpine with single violet-purple flowers. Height 5cm. Spread 30cm.. Flowers from March to April. Evergreen. Foliage colour Green and gold.. Hardy. Planting instructions Water thoroughly before planting. An evergreen mat-forming with rosettes of grey-green leaves. Racemes of fragrant yellow flowers. Full sun. well drained soil. This delicate flowering Barbarea has stunning dark green foliage which makes a wonderful contrast to the bright yellow flowers and has the added advantage of being very heat tolerant so will flower throughout the summer. A real head turner. Dalmatian Bellflower. Mound-forming. evergreen with heart-shaped. mid-green leaves. Panicles of large trumpet-shaped deep blue flowers. Height 15cm. Spread 60cm. Flower colour Purple. Flowers from June to September. Evergreen. Foliage colour Green. Hardy. Planting instructions Water thoroughly before planting. Snow-in-summer. Rampant spreading low alpine with silvery foliage and masses of star-shaped white flowers. Height 5-8cm. Spread Indefinite. Flower colour White. Flowers from April to June. Evergreen. Foliage colour Silver. Hardy. Planting instructions - water thoroughly before planting. Compact perennial with lilac-blue flowers with yellow throats in summer. 6? tall. Grow in full sun in well-drained soil. Small size makes it suitable for trough or small-scale rock garden. Native to rocky areas of the Mediterranean. Hardy to 10 degrees F.
A mat-forming perennial with whorls of pale green leaves with rounded heads of pink flowers. Height 15cm. Spread 50cm. Flower colour Pink. Flowers from June to August. Herbaceous. Hardy. Cranmere Pool' is a compact, mounded, evergeen perennial with linear, grey-green leaves and scented, double, white to palest pink flowers with magenta centres in early summer to autumn. 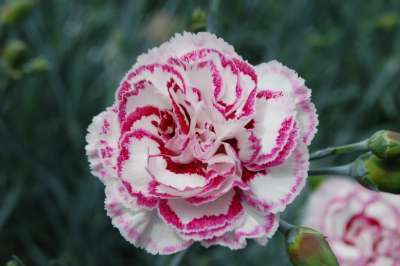 A laced modern pink forming a compact mound. Double white. clove-scented flowers with mauve centres and margins. Height 25-45cm. Spread 30cm. Flowers from May to June. Evergreen. An old-fashioned pink forming a compact mound. Double. strongly scented. fringed white flowers. Height 25-45cm. Spread 30cm. Flowers from May to June. Evergreen. Hardy. Plants form a low, spreading mound of light green leaves, studded with small white flowers in late spring, then on and off through the summer. Trim back lightly after first flowering. Good choice for poor soils, and hot, sunny sites. Also excellent in tubs and mixed containers. A modern pink forming a compact mound. Double salmon-red flowers. Height 25-45cm. Spread 30cm. Flowers from May to June. 'Dinetta' is a small cushion-forming perennial with linear, grey-green evergreen leaves and Lilac flowers in late spring through autumn. 'Dinetta' is a small cushion-forming perennial with linear, grey-green evergreen leaves and double pink flowers in late spring through autumn. A modern pink forming a compact mound. Double pure white. clove-scented flowers. Height 25-45cm. Spread 30cm. Flower colour White. Flowers from May to June. Evergreen. Foliage colour Green. Hardy. Planting instructions Water thoroughly before planting. Striking pink flowers with a strong spicy scent are produced throughout summer above compact, evergreen plants. Particularly good for patio planters where the scent can be enjoyed on warm summer evenings. Also good in borders and rock gardens. Prefers full sun. Height - 23cm (9in). Heron's Bill.Stork's Bill. A pretty mat-forming alpine of green foliage. Umbels of saucer-shaped dark pink flowers. Height 5cm. Spread 20cm. Flowers from June to September. Evergreen. Hardy. Protect from winter wet. 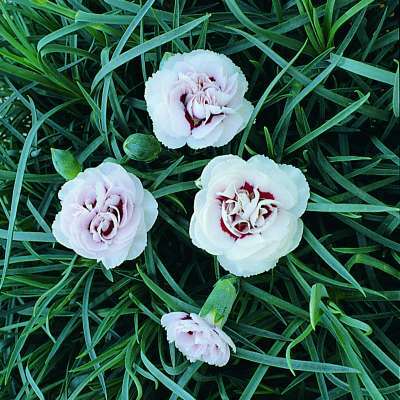 An alpine with creeping stems clothed in grey-haired green leaves and masses of tiny stemless rose-pink flowers. Height 3cm. Spread 20cm. Flower colour Pink. Flowers from June to August. Evergreen. Foliage colour Green. Grey. Hardy. Planting instructions Water thoroughly before planting. Rock Rose.Sun Rose. A spreading shrub with dark green leaves and saucer-shaped. Very bright pink double flowers with yellow centres . Height 20cm. Spread 30cm. Flower colour PinkFlowers from April to September. Evergreen. Foliage colour Grey. Green. Hardy. Planting instructions Water thoroughly before planting. Rock Rose.Sun Rose. A spreading shrub with soft grey leaves and saucer-shaped. pure white flowers. Height15cm. Spread 30cm. Flowers from May to July. Evergreen. A creeping alpine with fleshy bright mid-green leaves and almost stemless white to pale pink flowers with crimson veins from late spring to summer. Height 2cm. Flowers from May to July. Herbaceous. Hardy. Candytuft. A mounded evergreen subshrub with dark green leaves. Dense clusters of snow-white flowers in late spring to early summer. Height 25cm. Spread 40cm.. Flowers from May to June. Evergreen. Sheeps Bit. A densely tufted alpine with narrow leaves and vivid blue flowers in summer. Height 15cm. Spread 15cm. Flowers from June to August. Evergreen. Hardy.